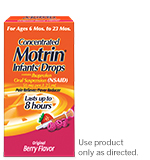 Use these materials to guide proper dosing for TYLENOL® and MOTRIN® pediatric products. When a baby has pain, parents may turn to you with questions about giving medicine—especially if it’s the first time. Remind them to always read and follow the product label and use only one medicine containing the same active ingredient at a time. 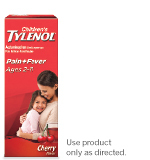 Children's medicines are formulated to deliver the right amount of medicine to your little one. No matter the medicine or brand, always read and follow the label on the bottle before giving a dose. Only the dosing device provided with the product should be used to measure the proper amount of medicine. 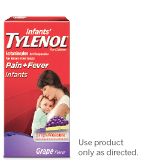 Do not use more than one product containing acetaminophen at the same time. Dosing information for children under 2 years of age is available for you as an HCP. 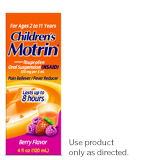 For more information on administering children's medication, see our guide below. If possible, use weight to dose; otherwise, use age. Do not exceed more than 5 doses in 24 hours. DOSE: Find the right dose on the chart below. Repeat every 4 hours as needed. DO NOT GIVE MORE THAN 5 DOSES IN 24 HOURS. If possible, use weight to dose; otherwise, use age. 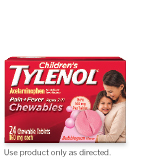 Have questions about the recent dosing updates to Children’s TYLENOL® Chewables? Read common FAQs. DOSE: Find the right dose on the chart below. Repeat every 6 to 8 hours as needed. DO NOT GIVE MORE THAN 4 DOSES IN 24 HOURS.If possible, use weight to dose; otherwise, use age. DOSE: Find the right dose on the chart below. Repeat every 6 to 8 hours as needed. DO NOT GIVE MORE THAN 4 DOSES IN 24 HOURS. If possible, use weight to dose; otherwise, use age.